New is the new make up range by The Body Shop, which consist of 4 new eye liner products. The White Kajal is used for inside eye corners, lower waterline and lower lash line for reducing redness and make the eyes look bigger. The Black Kajal is to accentuate the eyes, perfect to make smoky eyes. Both has an easy grip to have full control. The consistency and smells looks like those crayon pencils. 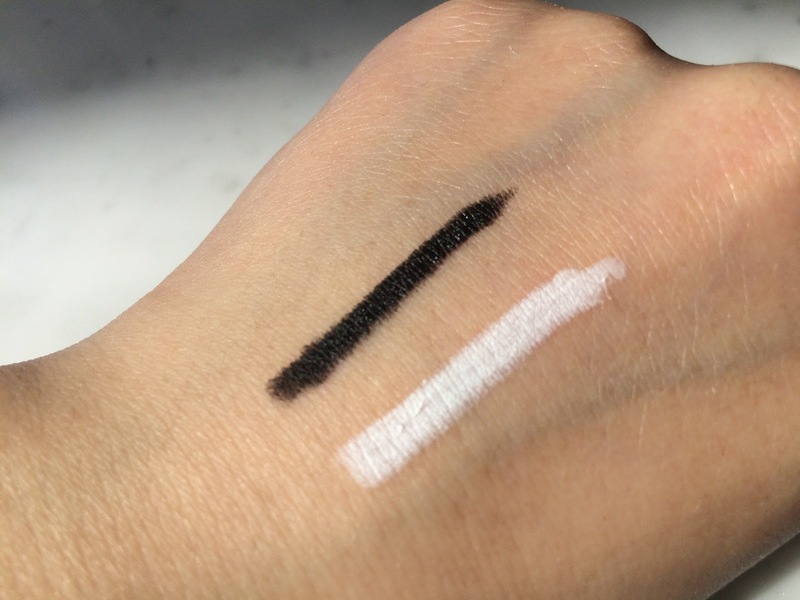 This gel liner is ideal for soft but also sleek lines on the eyes. 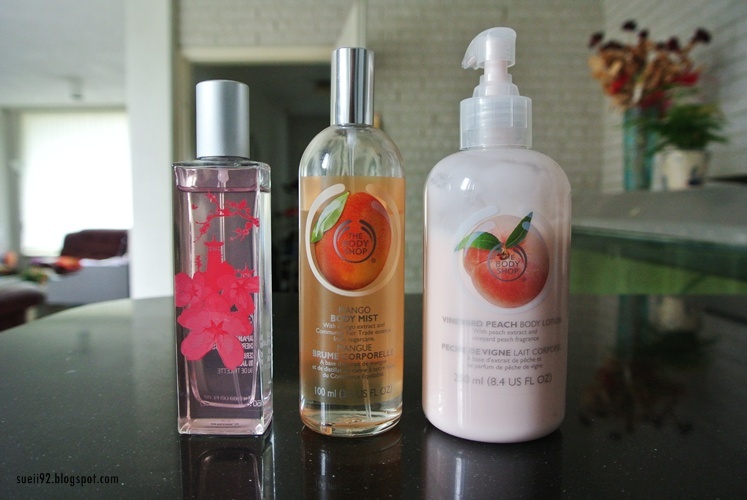 It has an creamy texture and is waterproof! I'm looking forward to this one! 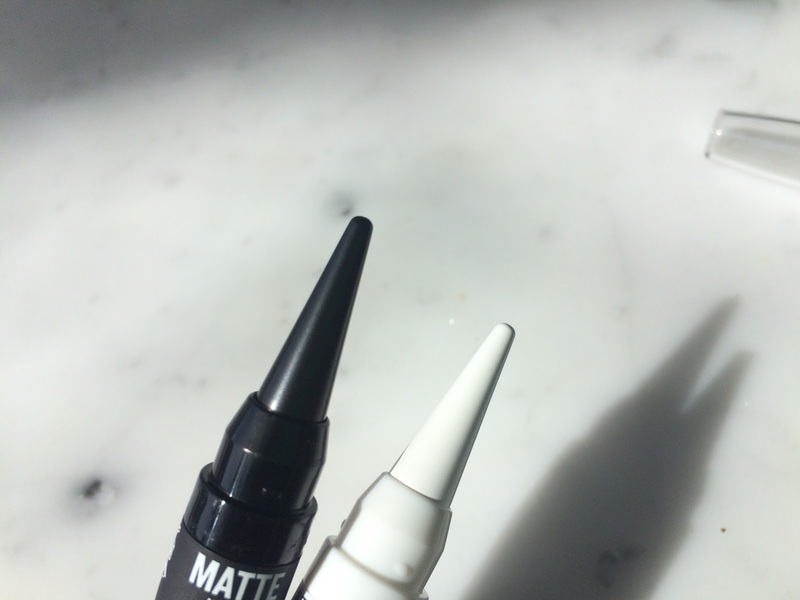 One can make really thin lines with this precise Skinny Thin Felt Eyeliner. You can thicken the line for a beauty statement or using it to create artwork. This eyeliner is perfect to create a dramatic statement eyeliner. 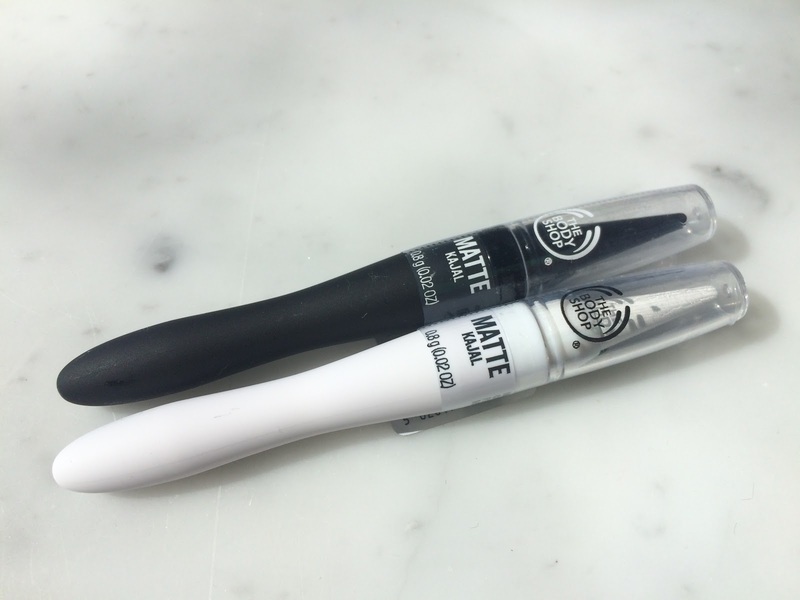 It has a thick felt tip to apply a thick eyeliner effortlessly.